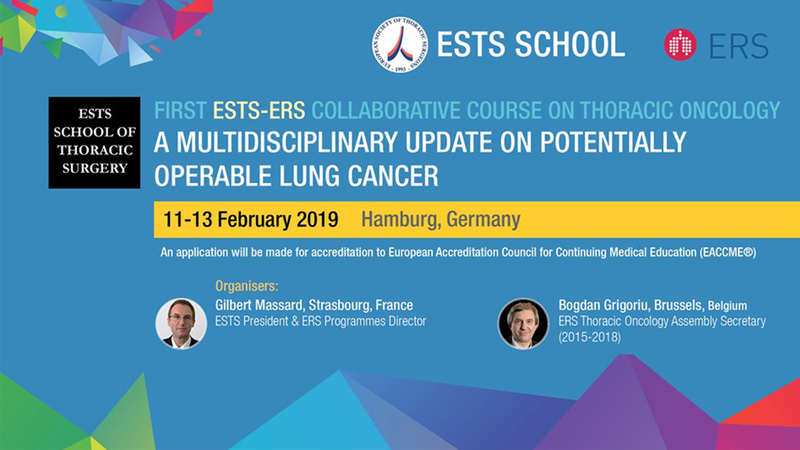 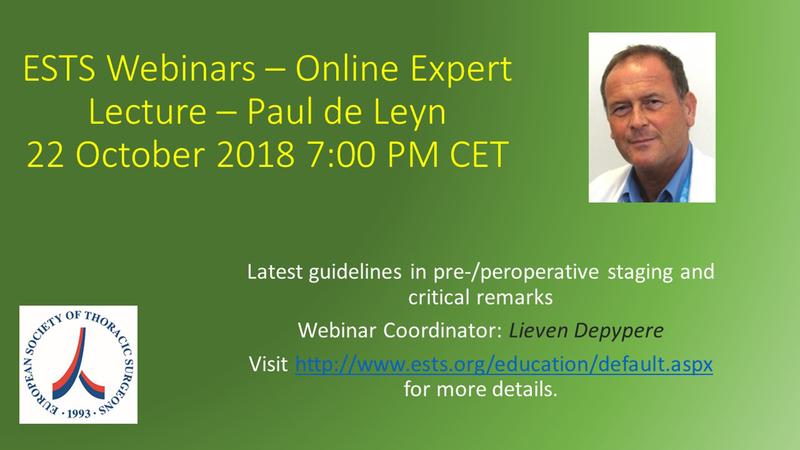 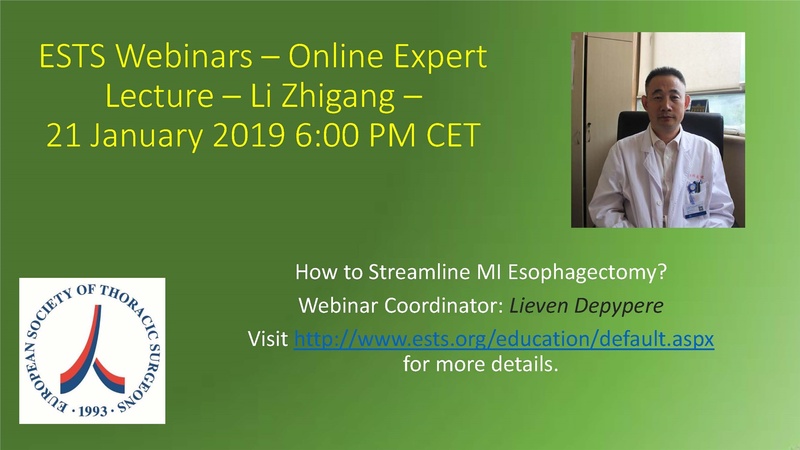 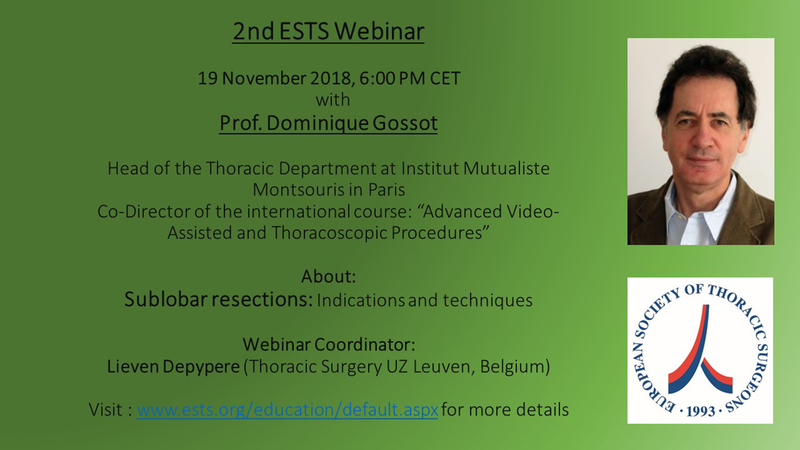 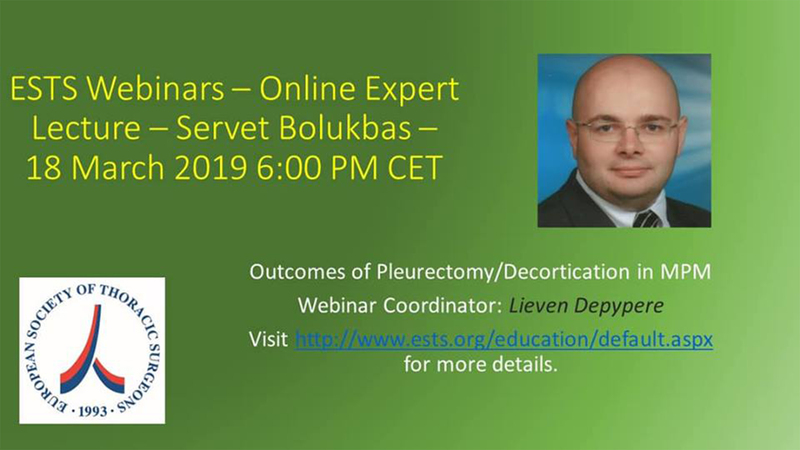 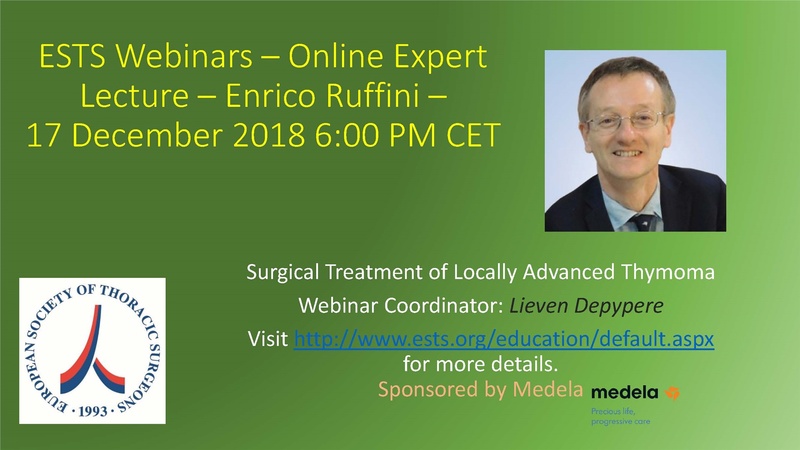 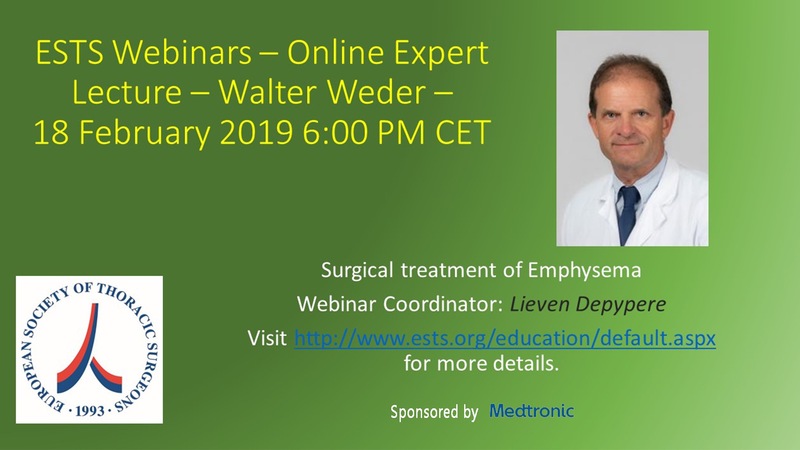 Surgical Treatment of Locally Advanced Thymoma Webinar Coordination: Lieven Depypere Online Expert Lecture: Enrico Ruffini 17 December 2018, 6Q00 PM CET Click here for more details. 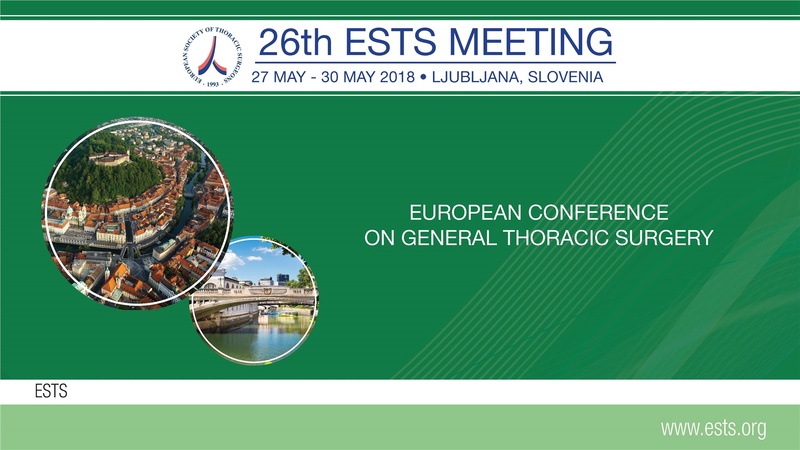 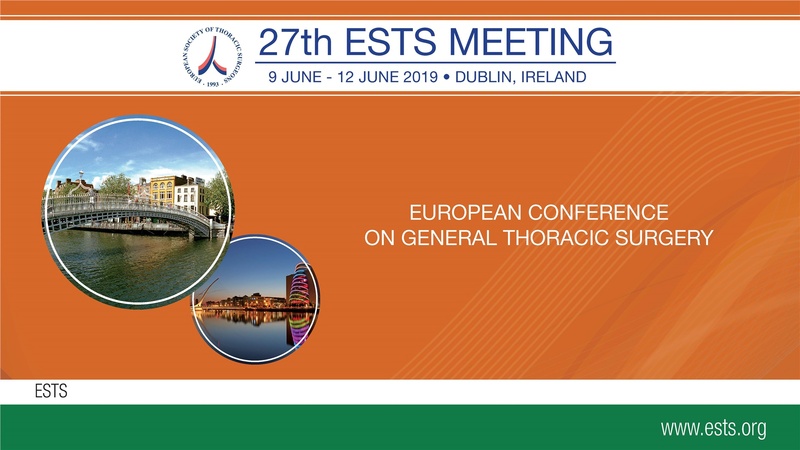 Watch the 27th European Conference on General Thoracic Surgery Dublin, Ireland. 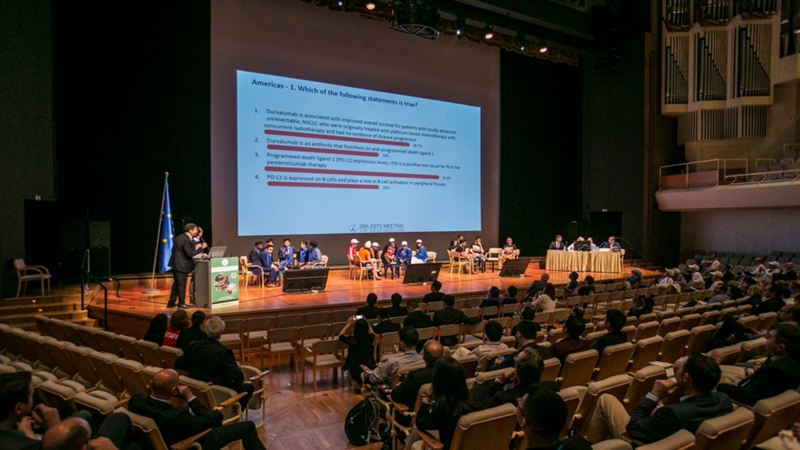 9 June - 12 June 2019 - Dublin, Ireland For more information about the conference please click here .